Have you ever looked at old photographs of Limerick, with their horse-drawn carriages, steam engines, cobbled streets, and wondered what it must have been like to be there, to be surrounded by the sights and the sounds? Although we can still see pictures of long-gone days, and perhaps even our great grandparents in them, wouldn’t it really bring the past to life if we could hear their voices, and wouldn’t the everyday sounds of their lives be fascinating to modern ears? Those are some of the questions that inspired Aileen Dillane and Tony Langlois to devise the Limerick Soundscape project in 2013. The plan was simple, to work with every kind of local community in Limerick City and help them to record the everyday sounds of their lives. The best of these sounds would be chosen by the community group themselves, and uploaded to an online sound map of the city for all to hear. Over time, hundreds of recordings would build up a rich archive of material, marking the shifts in urban sounds as they evolve over the decades. In the future, listeners would hear accents change, technologies and modes of travel come and go, and even the voices of individuals mature over their lifetimes. The starting point of the Limerick Soundscape project is that everyone hears his or her world differently. A sound that might be exciting to some – for example, the mixture of music and voices at a party – might be annoying to other listeners. Also, there are some sounds that have very personal associations, such as the purr of a pet cat or a relative’s doorbell, that bring pleasure to the individual but mean little to other people. Limerick Soundscapes is unique amongst other ‘sonic city’ projects in that it doesn’t take a top-down approach to sound mapping – it is open to those sounds that are meaningful to the individuals who record and submit them. So, if the sound of autumn leaves blowing around the park in November, or the voices of children playing in the same place in June evoke a sense of place for people in the neighbourhood then they are all worthy of inclusion. Aileen Dillane of the Academy of Music and Dance University of Limerick and Tony Langlois of Mary Immaculate College both have backgrounds in Ethnomusicology, the study of music in everyday culture. Their initial idea behind the project was to create a map of all the musical spaces in the Limerick area; the concert halls, pubs, busking sites, school orchestras – but it soon became clear that there was much more around than organised musical activities. Music could be heard blaring from cars, playing in supermarkets, on telephone holding cycles, mobile phones, and in each of those places the music overlapped with the sounds of people and their sonic environment. Inspired by some of the sonic city recording websites that have sprung up around the world, they decided that the scope of their own project would need to be much wider than music alone and, in order to capture changes in the sound environment, much longer than the typical study. The minimum duration of the project, they agreed, should be about a century, encompassing at least three generations of sound collectors. In order to ensure that the project was as inclusive as possible, it was decided that local communities should have considerable control of the recordings that represented their neighbourhood. After all, these were the sounds that had the most meaning for them. 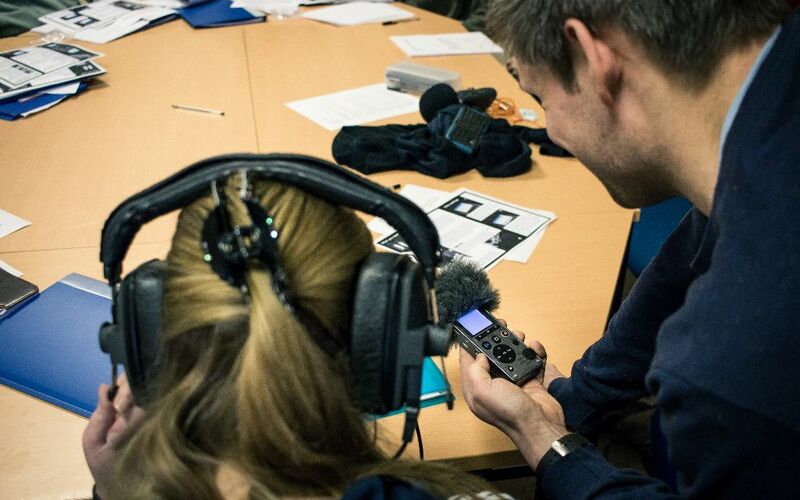 The pilot project in 2013 involved three local community groups who were given basic training in recording and sent off to bring back the sounds of their lives. The variety of sounds that came back was remarkable, from the buzzing of a tattoo parlour to rain on a car roof, revelers jostling for taxis after a night out to aerobic classes. The best of these were edited and uploaded to a specially designed web-map of the city, so that listeners can tell exactly where and when the recordings were made. In time the project expects to have dozens of recordings for each location, so the same site can be heard in different seasons, during special events, and as people themselves, with their accents, music and tastes, flow through the city’s lifetime. The Limerick Soundscapes project is still in its early days but is engaging with more and more local groups, each of which contributes to the richness of the archive. It’s fascinating to hear how each neighbourhood has its own distinct soundscape, depending on whether they are near the river, in leafy suburbs or busy estates. Each sound added to the map adds to a deeper picture of the city and its multiple spaces, in ways that are often surprising and touching. Perhaps this is because we rarely have the opportunity to hear the world through another person’s ears! Groups of any kind who are interested in a short series of workshops in the next months are welcome to get in touch for more details.